“I Love to Sew” Club is one of our favorite activities at Twin Falls Sewing Center. We have the most wonderful group of sewists that gather at our monthly meetings. 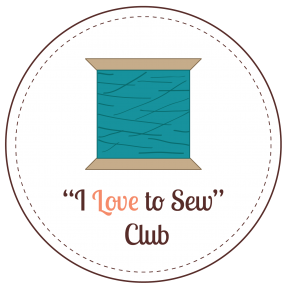 The club is for all sewists; whether you love quilting, apparel, home decor, or are just starting out. “I Love to Sew Club” is a fantastic opportunity to learn about new techniques, new notions, etc. all while having a great time connecting with other local sewists. The club invites a person to present a “lecture demo” program. Many wonderful techniques and ideas have been learned during the presentations. You are invited to bring a “sew and tell” item to show at the meeting. We also have door prize drawings in each meeting. • Monthly meetings where you learn new techniques and gain ideas for using your sewing machine or serger. • Discounts on products and orders at club meetings. • Advanced notice on new classes, seminars, etc. via our website: tfsewing.com and/or constant contact (email newsletter). • 15% discount on notions to sewing club members only. • Door prizes at club meetings (for members only). • $50 Gift Certificate drawing twice at the holiday and summer parties for sewing club members only. Fee for the year is $50. You may attend Sew Club without membership or benefits for $7 per meeting. Everyone is invited to the Christmas Party and Summer Party. See Class Schedule for any additional details.